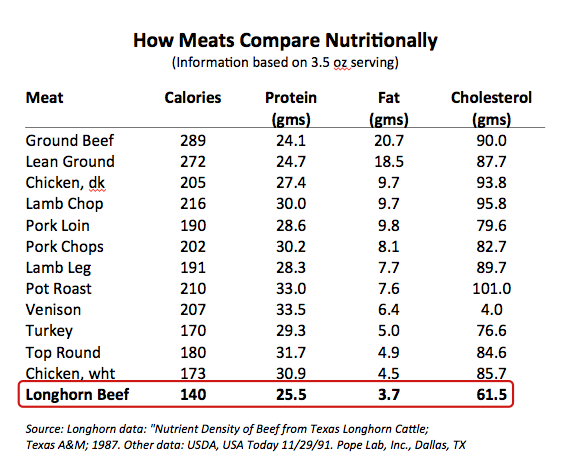 Leanest Red Meat you can find is Texas Longhorn. Get your Grass Fed Beef from Us. Accepting Orders For Fresh, Lean, Flavorful Grass-Fed Beef! Our Beef is USDA Inspected! Place orders by contacting Michael at 281-793-5622 or email us at 4blonghorns@cox.net. Did you know that red meat can be included as part of a healthy diet? Thanks to Texas Longhorns, today’s health-conscious consumer doesn’t have to avoid tender, juicy steaks. 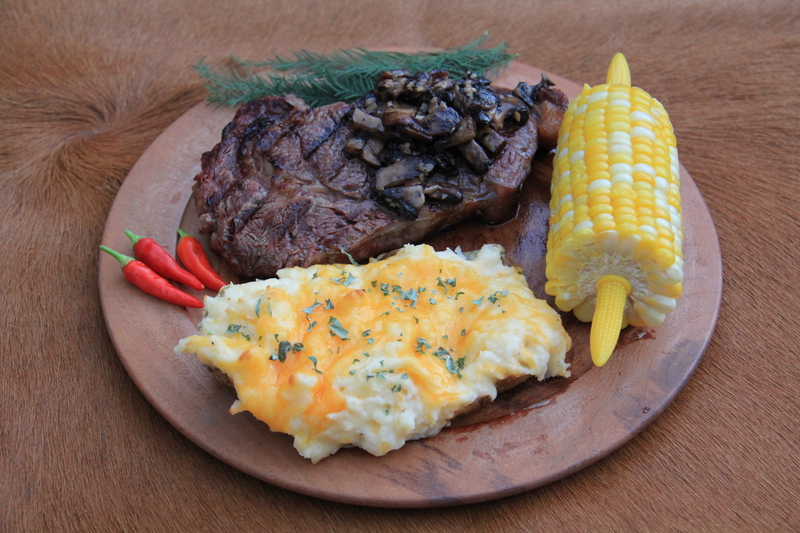 Longhorn beef is leaner than other breeds and is lower in saturated fats. Packed full of flavor, Longhorn beef has less cholesterol and calories than white meat. Including lean beef in a heart-healthy diet can positively impact blood cholesterol levels. Studies have shown that eating lean beef can help increase “good” cholesterol and reduce “bad” cholesterol in people with elevated cholesterol levels. Beef is the best source of protein, zinc and Vitamin B12 and is the third best source of iron in the food supply. Beef is also a good source of selenium, which may reduce the risk of heart disease and certain types of cancer (such as prostate) as well as enhance the body’s ability to fight infections. -Dr. Joseph Graham, Cardiovascular Surgeon at St. John’s Medical Center in Joplin, Missouri, and a Longhorn breeder himself. "Red meat is really a treasure trove of nutrients, including protein, iron, vitamin B12, and more. 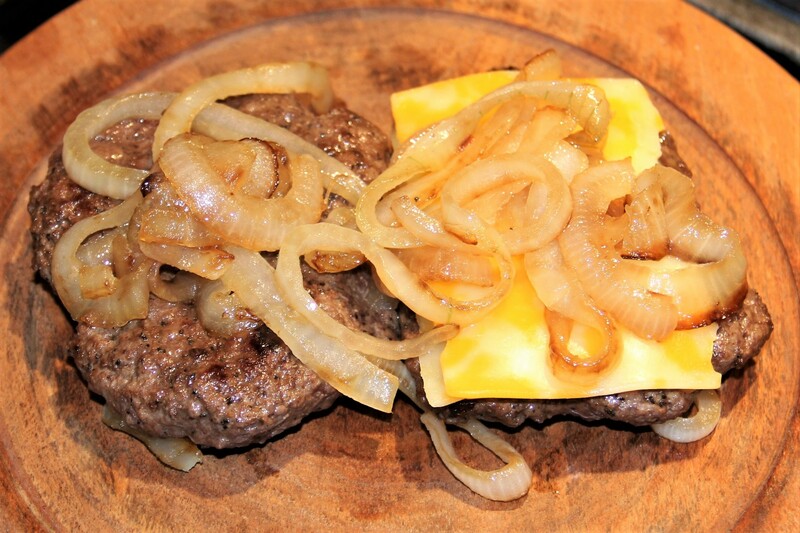 One of the healthiest red meats is Longhorn beef, which is extremely low in fat." -Cliff Sheets, certified clinical nutritionist, and nationally recognized author or Lean Bodies, Total Fitness.